From ropes courses in Hampshire to rock climbing in Langkawi, plenty of kid-friendly adventures await at Four Seasons hotels and resorts around the world. Kids’ clubs, family-friendly pools and opportunities to immerse in local culture make these hotels and resorts perfect destinations for family holidays. For young travellers, the best vacations are the ones that leave lasting impressions. Touring famous landmarks on the streets of cities like Paris and Hong Kong will loom large in a child’s memory for years to come. But so will the feeling of catching their first wave during a surfing lesson in Costa Rica, or the few words of Thai they learned to speak during a lesson in Chiang Mai. Well-travelled families crave meaningful experiences like these at every point of their vacation, so Four Seasons hotels and resorts offer on-property family and kids’ activities that immerse guests in local culture. At Four Seasons Resort Nevis, Director of Recreation Mac Kee France plans resort activities that ensure guests of every generation can enjoy an authentic Caribbean experience. “We make sure that when each guest leaves, they feel a part of our Nevisian family,” he says. Whether you’re headed to Boston, Seoul or the Serengeti, these kids’ activities will impress even the most experienced young jet-setter. Camp Nevis, offered during summers at Four Seasons Nevis, exposes children ages 5 to 13 to Nevisian culture with Caribbean folk songs, dialect lessons, games and coconut treats – all while keeping an eye out for sea turtles, which nest along beaches between June and October. 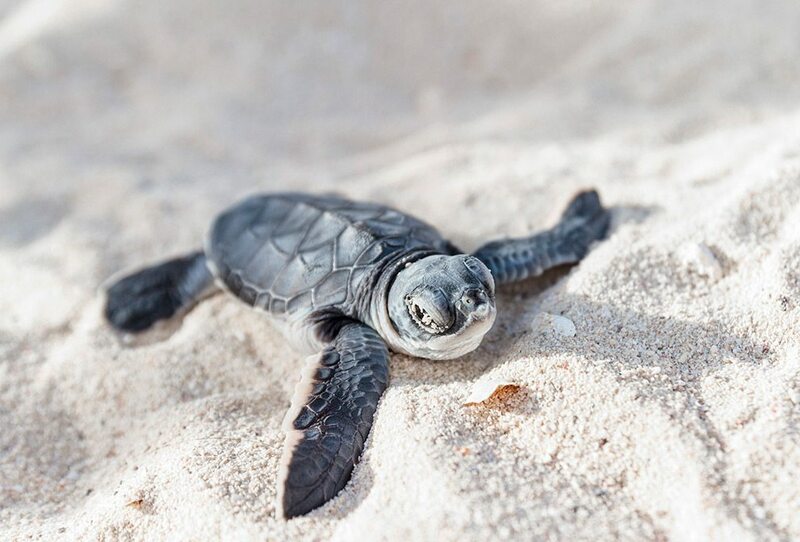 What kids will love most: A visit during Sea Turtle Conservancy Weekend in July, when they can attend a full-day turtle camp. Finish a day spent on the Freedom Trail, which conveniently begins just steps from Four Seasons Hotel Boston, with a swim in the Hotel’s light and bright indoor pool overlooking Boston Public Garden. On Saturdays, be sure the kids dry off in time for the complimentary cookie-making class in the Pastry Shop. Hint: Make a reservation, as classes fill up quickly. Set up a tent and bring the excitement of camping to your room. 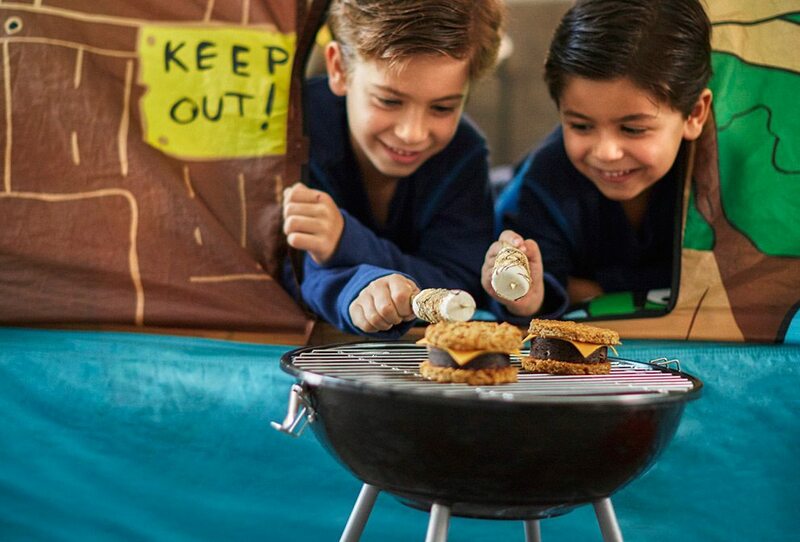 What kids will love most: The Kids’ Adventure Package, complete with glamping-themed amenities, an in-room tent and a “Gone Glamping” pillow to take home. 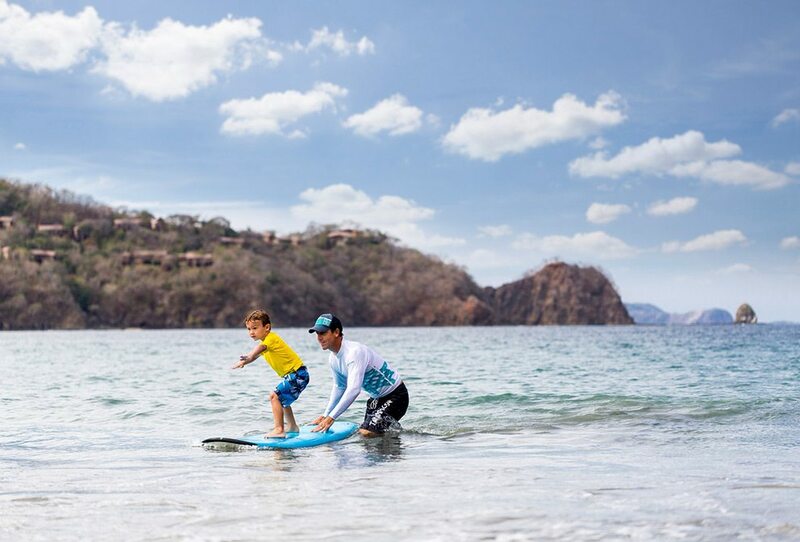 Nature-based activities fill the Kids For All Seasons itineraries at Four Seasons Resort Costa Rica at Peninsula Papagayo. Children ages 4 to 12 can embark on excursions at the Resort, where they will often spot howler monkeys, iguanas, hermit crabs, military macaws and mangrove cuckoos. A sanctuary just for teens is staffed with a dedicated Concierge to help them choose from the numerous activities available. Kids can take lessons at the Resort’s surf school and learn to ride the waves like a pro. What kids will love most: Tropicsurf, the Resort’s own surf school, will help get young surfers ages 5 and up standing on a surfboard. 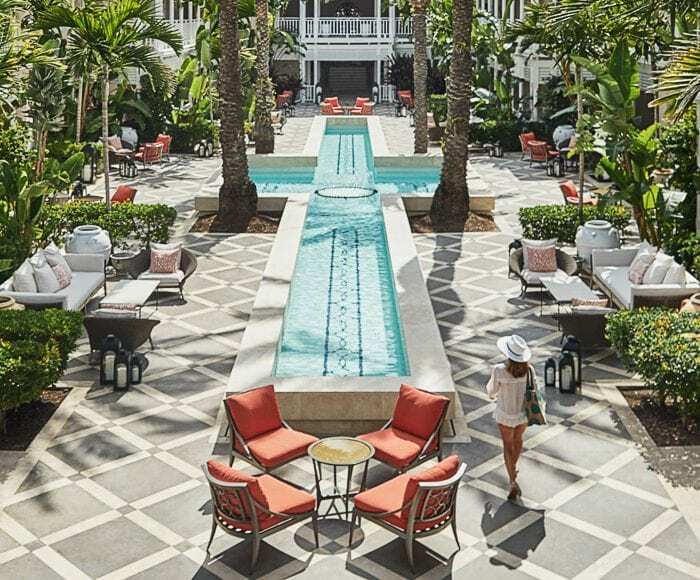 Beverly Wilshire, Beverly Hills (A Four Seasons Hotel) ensures young guests enjoy the limelight with an extensive list of star-themed kids’ spa packages such as “The Superhero” massage and “Pop Star” hand-and-foot treatments. Hollywood glamour doesn’t stop there. For an extra-special treat, ask the Concierge to arrange a celebrity meet-and-greet. What kids will love most: A Red Carpet Kit amenity, based on a favourite TV show or movie, can be arranged with guest relations for children ages 4 and up. A peaceful Hawaiian location plus outstanding amenities lure many families into staying put at Four Seasons Resort Maui at Wailea. 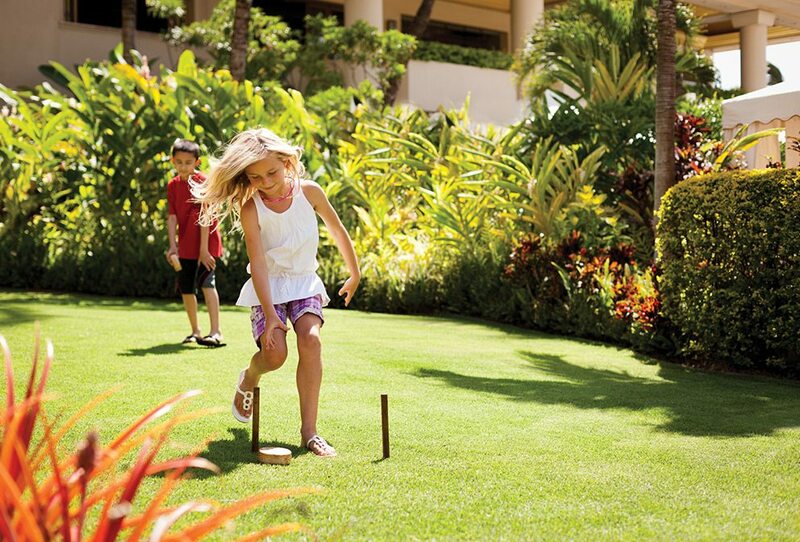 At the Resort’s Kids For All Seasons programme, kids ages 5 – 12 participate in Hawaiian traditions such as making leis, hunting for geckos and learning how to hula. Games like ulu maika – Hawaii’s version of bowling – are fun for kids and expose them to Hawaiian culture. What kids will love most: Games everywhere… between the large game room, various balls, board games and complimentary beach activities, if kids like to play something in particular the Resort likely has it. In addition to games, crafts and kids’ spa treatments, the Kids For All Seasons programme at Four Seasons Resort Langkawi includes kids’ yoga led by the Resort’s resident yogi. Children ages 8 – 12 who want to learn how to cook Malaysian cuisine can do so in a Junior Masterchef experience, while young adventurers can go rock climbing. 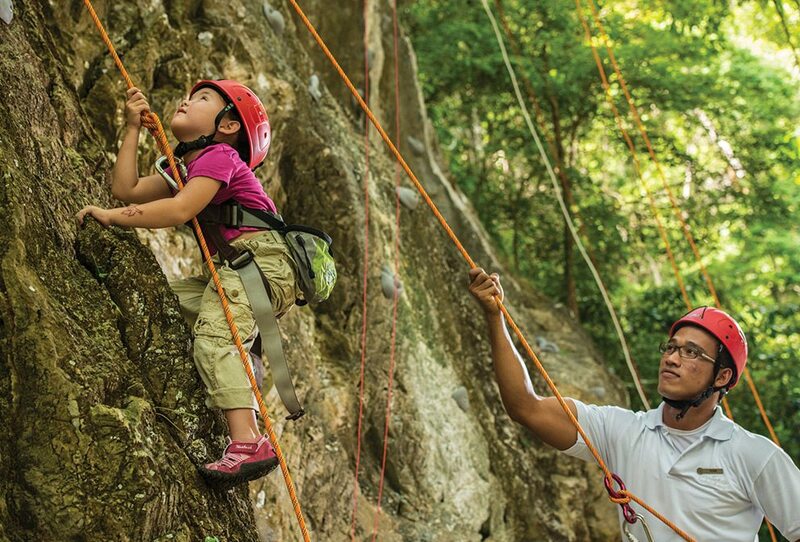 Fun reaches new heights in Langkawi with a rock-climbing adventure for young jungle explorers. What kids will love most: The Resort’s resident Swamp Skipper navigates through the mangroves during a one-hour boat ride in search of macaque monkeys and eagles on the Mangroves and Monkeys safari. Mom and Dad can get in on the fun, too. The lush landscape of Northern Thailand is where sa paper (mulberry paper) comes from, and kids ages 4 to 12 can learn how to make it themselves in the Gecko Club at Four Seasons Resort Chiang Mai. They’ll also scour the grounds for insects and animals, play games, and learn a few Thai words. 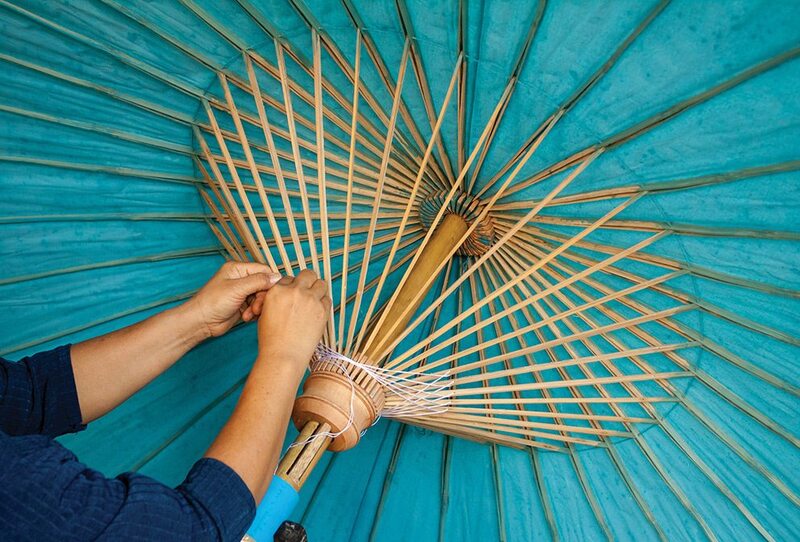 Children can learn to make sa paper, which is used to create traditional paper umbrellas. What kids will love most: Taking photos with Mr Tong and his stepbrother Mr Tone, the Resort’s resident water buffalos. After exploring the bustling capital city, kids unwind at Four Seasons Hotel Seoul in their own shallow plunge pool on the main indoor pool deck. 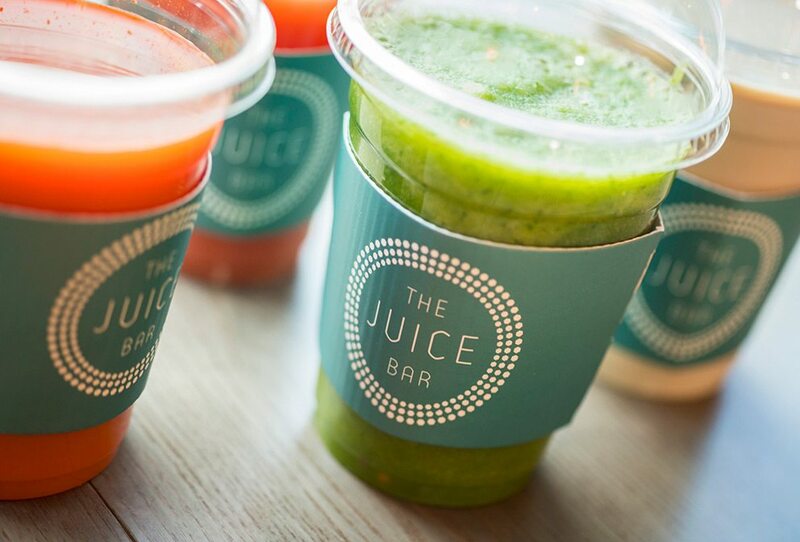 The Juice Bar, steps from the pool, serves up delicious smoothies and sandwiches to treat hungry tummies after a day of swimming. What kids will love most: Kid-friendly treats, including local favourites like non-spicy royal stir-fried rice cakes and purées for babies. The giant banana-loving Aldabra tortoises and ocean activities at Four Seasons Resort Mauritius at Anahita are draws for all, but children ages 4 to 9 flock to the Hobbit Village Kids’ Club to make dodo-bird cookies in the bakery and kites from local trees and plants. Karokan, the staffed young adults’ centre, provides a hang-out for ages 10 and above in addition to excursions like kite surfing lessons. What kids will love most: The DJ booth where teens can create their own disco. 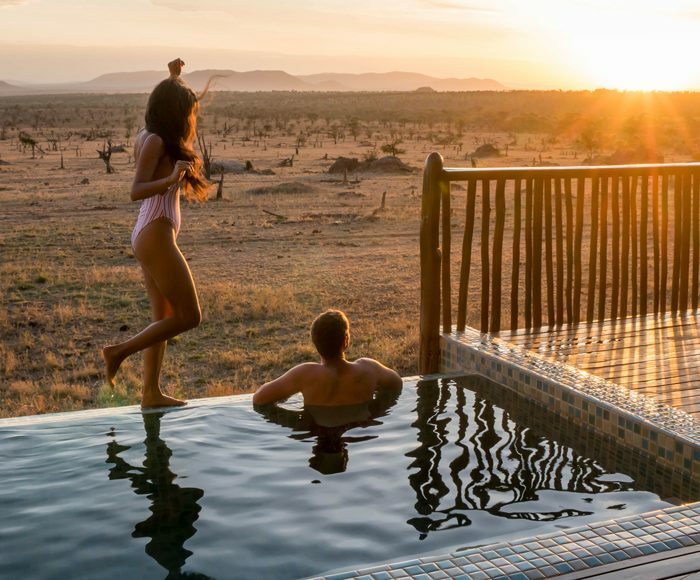 At the Kijana Kids Club at Four Seasons Safari Lodge Serengeti, children learn about the culture and animals of Africa, including how researchers study wildlife with cameras around the Resort. What passes by depends on seasonal migrations, but buffalo, lions, dik-diks, leopards, zebra and wildebeest are possibilities. 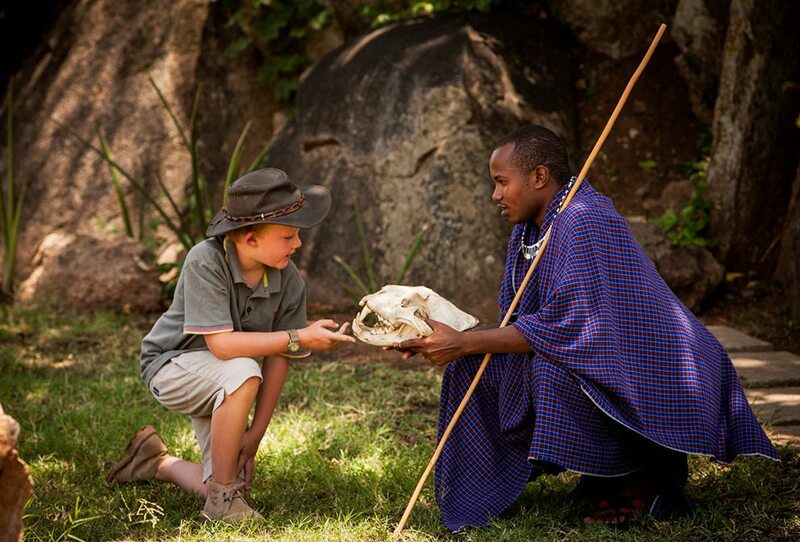 During a morning spent with a Maasai warrior, kids learn how to make fire and hear African stories. What kids will love most: Kids ages 6 and up can spend the morning with a Maasai warrior and learn skills such as how to make a toothbrush using tree twigs and how to use local plants for healing purposes. 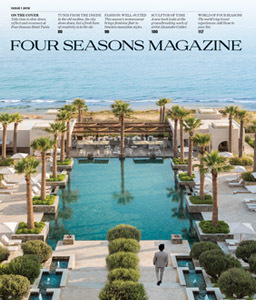 Five grotto-style pools, including one just for kids, border the private beach at Four Seasons Hotel Doha. The Hotel also offers three robust kids’ programmes tailored for specific age groups: treasure hunts and interactive activities at Kids For All Seasons (5 to 12), sports and arts and crafts at Too Cool for School (7 to 12), and Xbox tournaments and mocktail socials at Young Adult Social (teens). 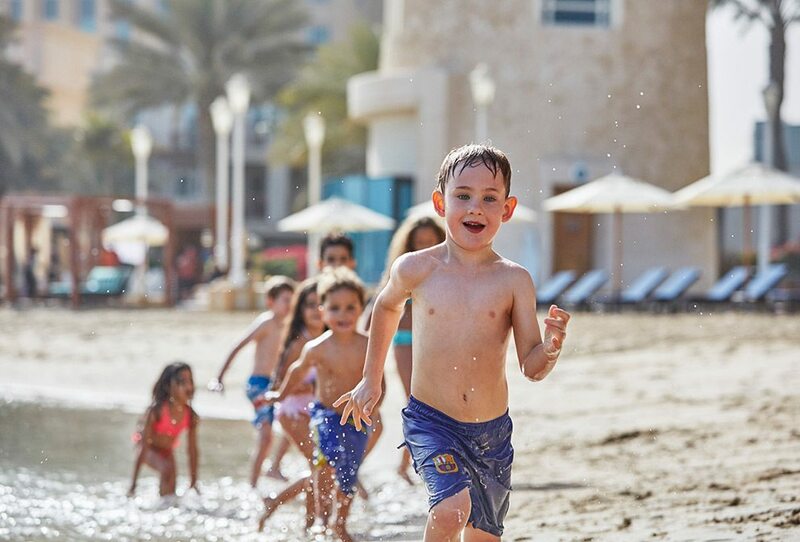 With kids’ programmes designed for specific age groups, Four Seasons Doha promises excitement and fun during every stay. 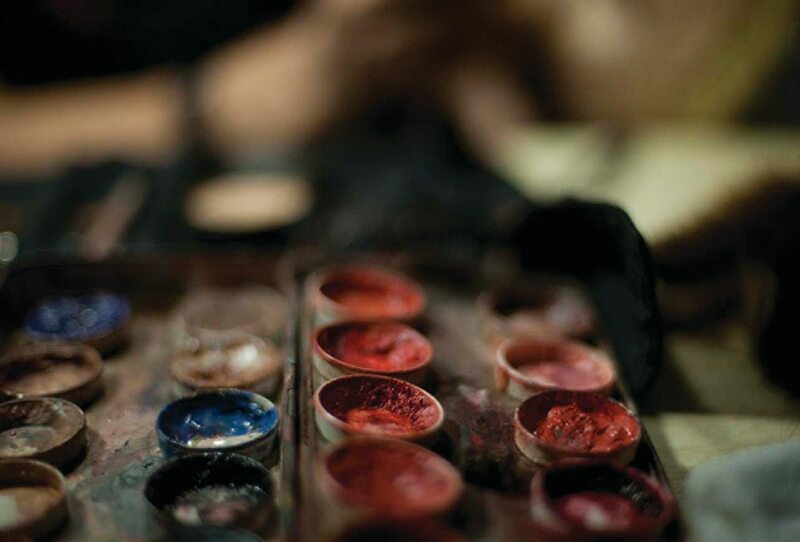 What kids will love most: An Arabic henna hand-painting session, arranged by request. Kids can don a pair of wellies and wander the 500 acres of fields and gardens surrounding Four Seasons Hotel Hampshire. Oliver, the resident Labrador retriever, may even join in. Those brave enough can walk the property’s ropes courses, hit the trails on complimentary mountain bikes or join a falconry walk. 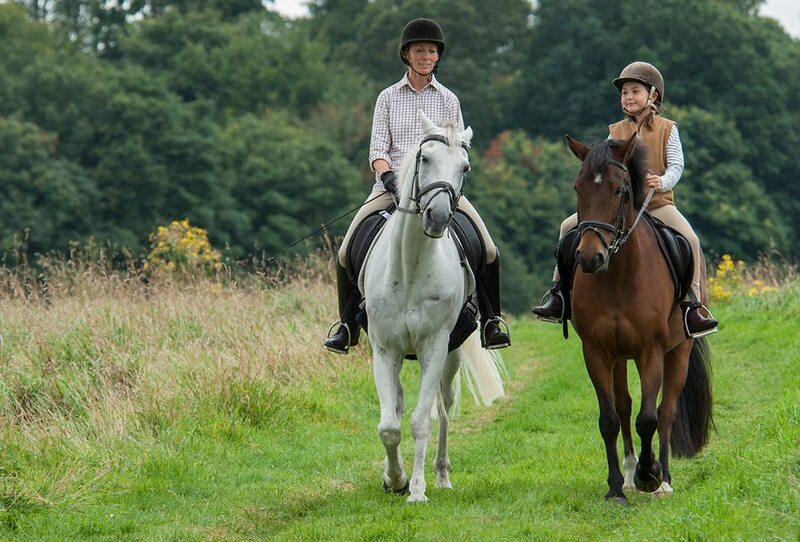 Along with a scenic ride around the estate, kids can saddle up and care for their very own pony for a day in Hampshire. What kids will love most: The Own a Pony experience teaches ages 7 to 16 what it’s like to bathe and tack up a pony before a scenic ride around the estate. While parents relax at legendary seaside Club Dauphin at Grand-Hôtel du Cap-Ferrat, A Four Seasons Hotel, kids can play steps away at the new kids’ club, a sea-themed mini chalet where children ages 4 to 12 craft, watch cartoons in a submarine and swim in the secure garden’s paddling pool. Chef Gaëtan Fiard, The World Champion of Sugar Art, also pleases the sweet tooth and teaches kids how to make cookies and cake. What kids will love most: Swimming lessons with Pierre Gruneberg, an instructor who has taught at the Hotel since 1951. His past students have included the children of Charlie Chaplin, Ralph Lauren and Paul McCartney. Four Seasons Hotel Firenze showcases the city’s reputation as the birthplace of the Renaissance by enabling kids to explore their creative sides. Programming includes sessions for crafting Florentine souvenirs and sunset photography walks. These activities are best for kids ages 5 to 12. Kids can embrace their inner da Vinci with creative and artistic programmes, and will leave with handcrafted mementos of their time in Florence. What kids will love most: Learning to paint a fresco beneath a canopy of centuries-old trees. 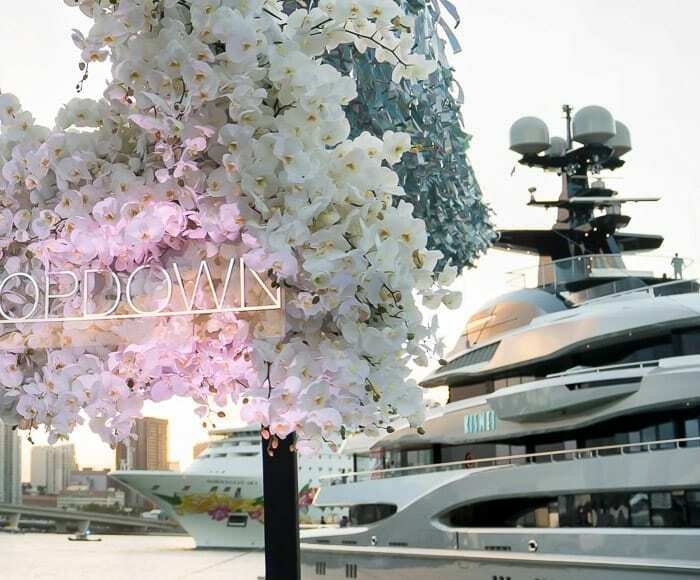 Four Seasons took to Miami – and, specifically, a seven-storey superyacht – for a dreamy, art-filled affair. From a private island dinner in Bora Bora to a restaurant perched on the Mediterranean coast, these waterfront dining experiences will please any palate. 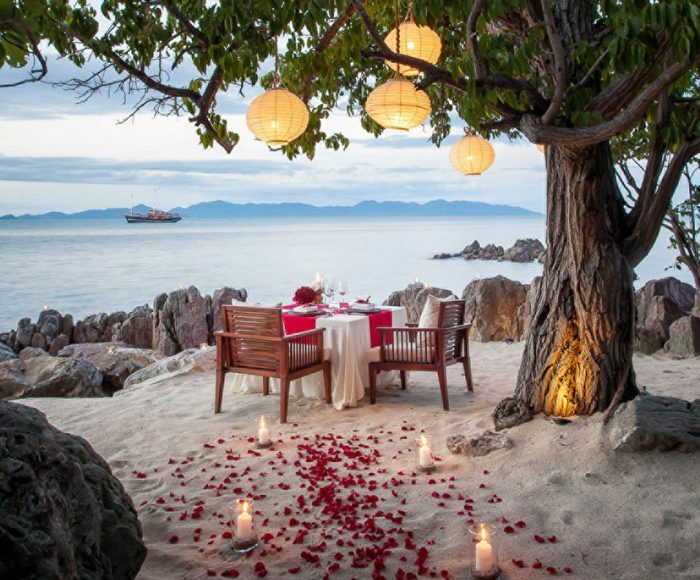 World travellers and photographers Robert Michael Poole and Marcy Yu share breathtaking, romantic photos captured during their journey to the Serengeti, Seychelles and Mauritius.